By Advertorial · May 1, 2017 • Bring the viewing experience to the great outdoors. By Chelsea Cafiero · April 11, 2017 • Ikea's smart lighting range includes LED bulbs, a gateway kit with app-based control that connects to the Internet, dimming lights, and a unique remote control. By Robert Archer · October 13, 2016 • One look at the commercial market makes it clear that lighting control and Internet of Things (IoT) are inherently intertwined, if not completely dependent on one another. By CE Pro Editors · September 30, 2016 • CEDIA 2016: Sony stole the show with its Z-Series (Z9D) displays and X1000ES Ultra Blu-ray player. Watch our video booth tour to learn more. 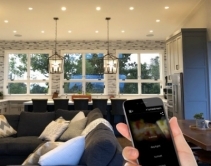 By CE Pro Editors · September 21, 2016 • CEDIA 2016: Lutron expanded its integration capabilities in a big way this year. Also on display was Lutron's Ivalo high-performance LED lighting fixture line, including its Finire LED recessed lighting. Check out the booth tour. By CE Pro Editors · August 22, 2016 • Exhibiting for the first time at CEDIA 2016, Colorbeam North America offers a unique LED lighting control solution made by integrators for integrators. By Chelsea Cafiero · July 20, 2016 • Colorbeam offers lighting fixtures with different wattages that work off of a Cat 5 cable and go to a remote driver. 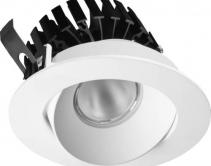 The lighting system makes dimming and color temperature easy to manuever. By Jason Knott · July 15, 2016 • The Sylvania Socket Study shows 65% of U.S. households are familiar with Wi-Fi controllable light bulbs, a 40% increase in one year. Plus, eight out of 10 Americans say there is an area in their home where they can use lights that change color, dim or set scenes. By Eddie Reynolds · May 6, 2016 • Independent lighting can help resolve surveillance camera obstacles in producing higher quality images and deterring nighttime intruders. By CE Pro Editors · May 5, 2016 • Crestron control and Lutron HomeWorks combine to create a multicolor, multilayer lighting system in this dreamy backyard. By Lisa Montgomery · May 2, 2016 • Pasolumination installs Lutron control, LED fixtures and a seeTouch keypad in this expansive wine cave on the coast of California. By Advertorial · May 2, 2016 • Colored LEDs of all styles, designs, and types in a basement renovation are choreographed with HomeWorks QS to create several distinct entertainment spaces.